Lessons are available with PGA Professional Chuck Benes. Chuck has been a PGA Professional for over 35 years and taught golfers of all ages and at all levels. Lessons are by appointment, call Chuck at 419 898-1493. Oak Harbor Golf Club is proud to participate in “Get Golf Ready” a program designed to start people in the game and bring people back who haven’t played in a while. 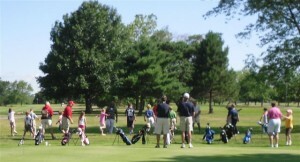 Group instructional programs will be held all season long and is followed up with beginner playing opportunities. The instruction is only $99. Call Chuck Benes, PGA for details at (419) 898-1493.